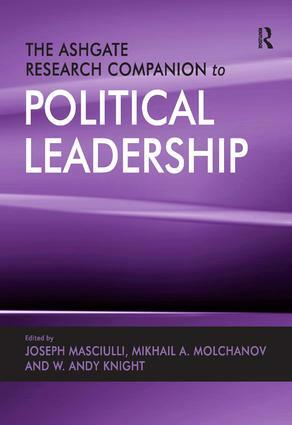 Joseph Masciulli is Associate Professor, Human Rights and Political Science at St Thomas University, Canada. Mikhail A Molchanov is Associate Professor at St Thomas University, Canada. W. Andy Knight is Director of the Institute of International Relations (IIR) at The University of the West Indies and Professor and former Chair of the Department of Political Science at the University of Alberta. He served as Governor of the International Development Research Centre (IDRC) from 2007 to 2012, co-edited Global Governance journal from 2000 to 2005 and was Vice Chair of the Academic Council on the United Nations System (ACUNS). Knight has written and edited several books, book chapters and journal articles on various aspects of multilateralism, global governance and peace, and United Nations reform. His recent books include: The Routledge Handbook of the Responsibility to Protect (with Frazer Egerton) -Routledge 2012; Towards the Dignity of Difference? : Neither 'end of History' Nor 'clash of Civilizations' (with Mojtaba Mahdavi) - Ashgate 2012; and Global Politics (with Tom Keating) - Oxford University Press 2010. Professor Knight is a Fellow of the Royal Society of Canada.